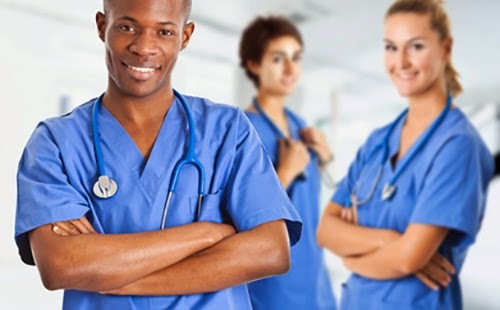 According to the U.S. Census Bureau, there were 3.5 million nurses employed in 2011. Of that number, 3.2 million or about 91 percent were female and 330,000 were male. So, it is safe to say that women dominate the nursing field. So, why do women nurses make only 91 cents for every dollar that male nurses earn? In 1970, only about 3 percent of men entered the nursing field. Now it's between 9-10 percent. As the number of men joining the nursing profession increases, so does the pay scale for men vs women in the same job. And the size of the gap can range from $4,000 up to $17,300, according to a recent study at the University of California, San Francisco. In 2013, the study reported that the average annual income for female nurses was $60,000, but for males nurses the pay was $70,000. What is also interesting about the study is that even though wages for nurses have steadily increased since the 1980s, the pay gap between female and male nurses has not changed; it has always been there.